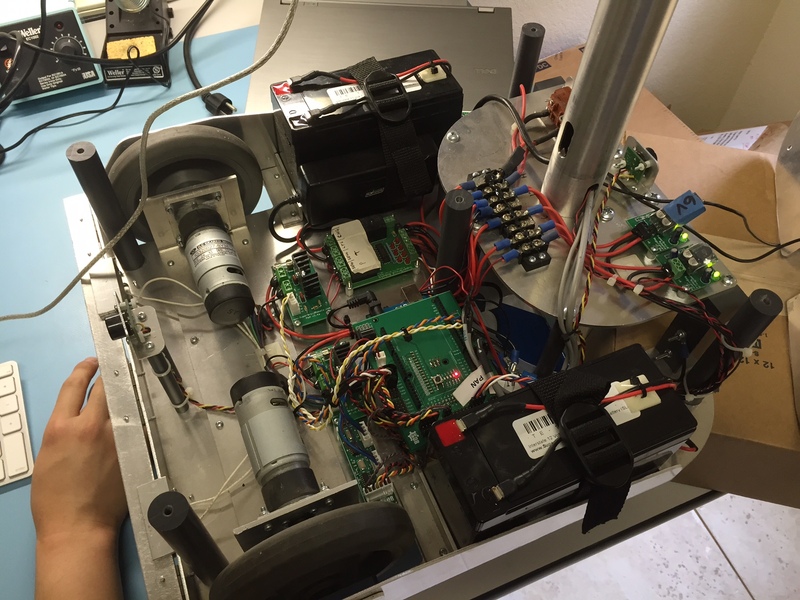 The Arduino Mega 2560 on board the RP2W robot contains an Arduino “shield” that lies on top of the micro-controller. 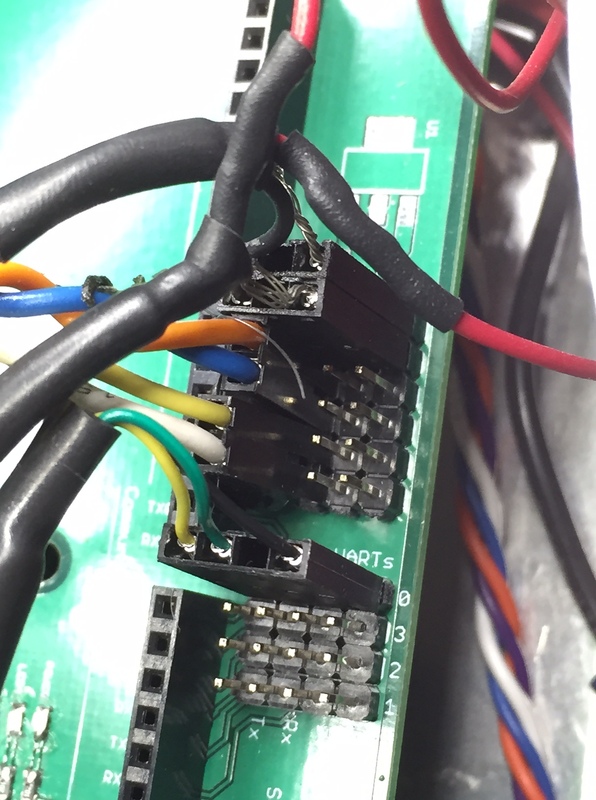 The shield acts as an adapter for the board and has demarcations for the components on the Arduino. The analog I/O ports on the shield are labeled by a following the number that is corresponds to the port. 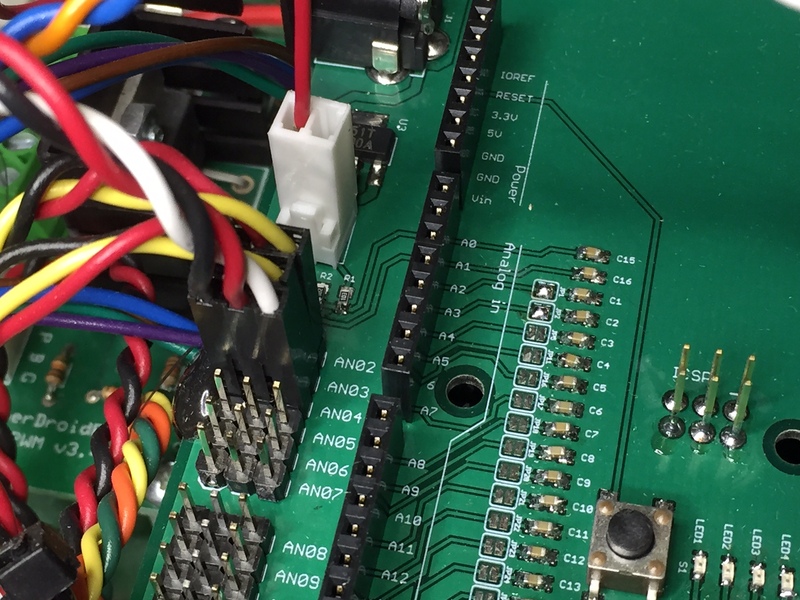 The digital pins used for the PWM, encoder, encoder buffer, pan, tilt, and serial. 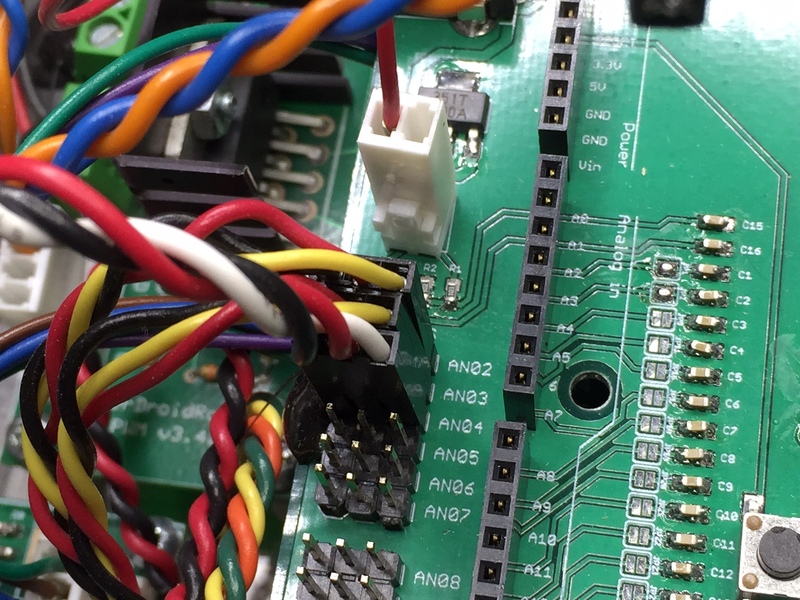 The digital D52 port corresponds to the SPI bus that is used to interact with the encoder buffer. The SPI bus is a synchronous serial data protocol used by microcontrollers for communicating with one or more peripheral devices quickly over short distances. 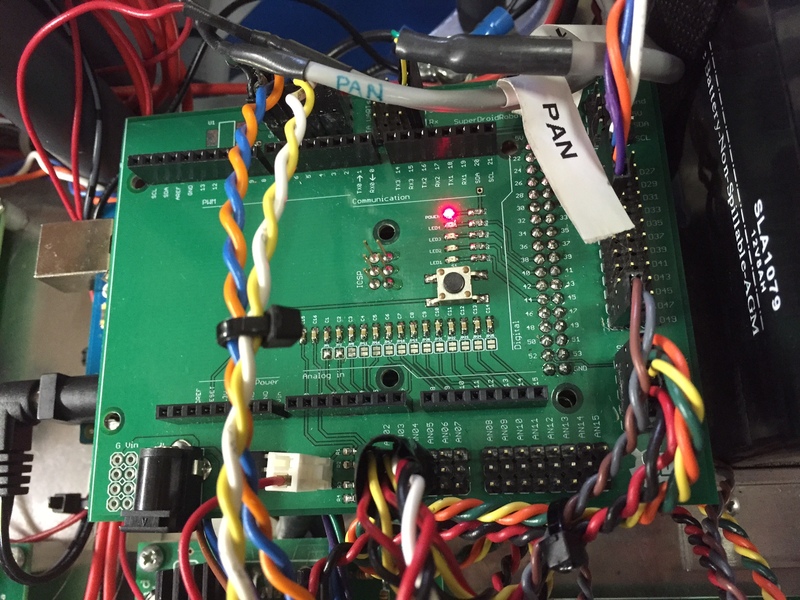 It can also be used for communication between two microcontrollers. 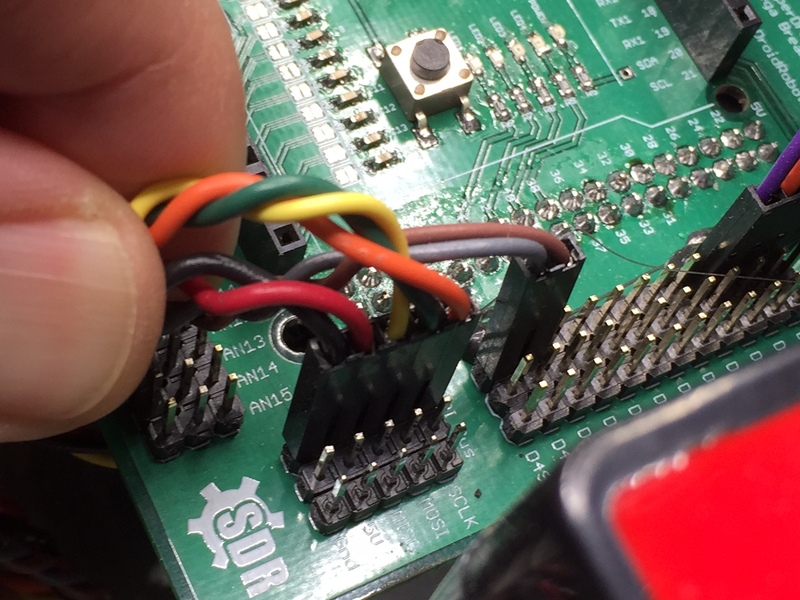 The pan and tilt connections which power the servos at the base of the RP2W receive 5V from the relay which is able to supply a higher current compared to the 40 mA max of the Arduino. The pictures above show the shield in various angles which can be referenced to in the diagram.